When recovering addict, Krisha (Krisha Fairchild), returns to her family to celebrate Thanksgiving she is welcomed with open, if wary, arms. However, after an absence of over ten years, old wounds fester just beneath the surface - resentments that refuse to die. From its unflinching and deeply unsettling opening shot to its heartbreaking end, Krisha is an astounding debut from director Trey Edward Shultz. Part perfectly observed family drama, part horror thriller, the film holds you firmly in its grasp and, despite feeling certain that something terrible is about to happen, you cannot look away. The movie begins with a slow pan towards a woman’s face. Her expression is startling and disturbing. Who is Krisha? Is she monster or victim? The film's score, with its insistent drum beats, warns us to beware. There is a real sense of horror here. Krisha then begins to reveal her story. Shultz first shows us the life that she has denied herself by shooting the first half of the film in a 1:85 aspect ratio with long takes and wide lenses. It is both authentic and overwhelming - full of anxiety and tension as the camera spins and Brian McOmber’s score builds. 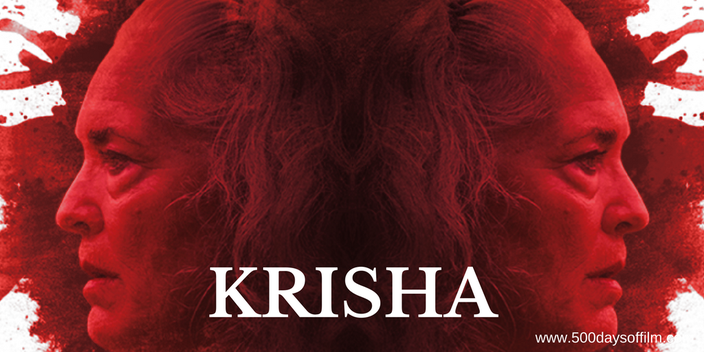 As the film progresses, so its aspect ratio narrows, mirroring Krisha’s claustrophobia and increasingly desperate isolation. Shultz eschews typical 'returning addict' tropes in favour of a brave and honest look at families and a emotionally damaged person who is at war with herself. We are encouraged not to judge but to sympathise as Krisha tries to move on from her past and slot back into her family. The story behind Krisha is almost as fascinating as the movie itself. The film was inspired by an incident that occurred during one of Shultz’s own family holidays - along with other aspects from his life. The movie started in 2012 when Shultz was trying to make his first feature film. However, the director explains that he “had overestimated the amount of resources and support available to me". He realised that he "wouldn’t be able to pull off what I had envisioned. It was the worst week of my life”. As a result, instead of producing a feature length movie, Shultz decided to take his material and make a short film. Also called Krisha, it was extremely well received and the experience inspired the director to revisit the story and make a new feature. This "amazing group of people" comprised many of Shultz’s own family - Krisha Fairchild is his aunt and his mother and grandmother also play key roles. Also playing the part of Trey, Shult shot the film for nine days in his parents’ house. All of the cast give authentic and heartbreaking performances. Krisha Fairchild is superb. A perfect casting choice, she is spellbinding and utterly convincing. Meanwhile, Bill Wise’s portrayal of Doyle (alternating between hilarious comedy and brutal confrontation) is also scene stealingly good. Krisha got a limited UK cinema release. However, it is now available online. Do seek it out - this movie is just too good to miss. 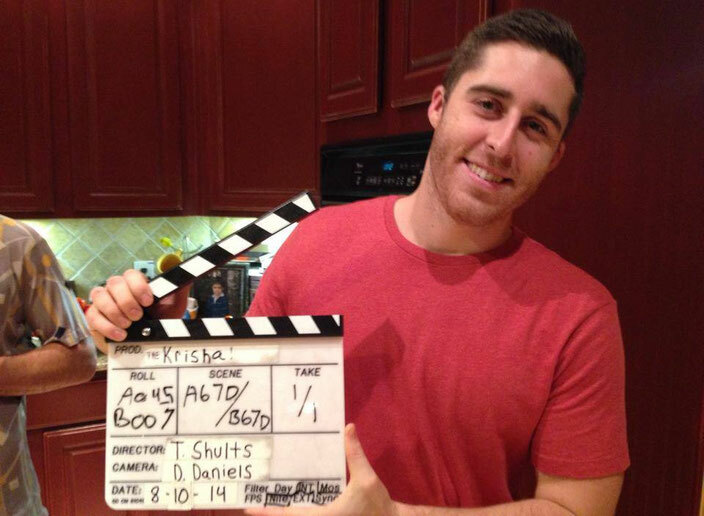 Krisha is expanded from the award-winning short film of the same name, which was awarded Special Jury Recognition at South By Southwest (SXSW) 2014. If you have, what did you think of this movie? Let me know by leaving me a comment in the box below!